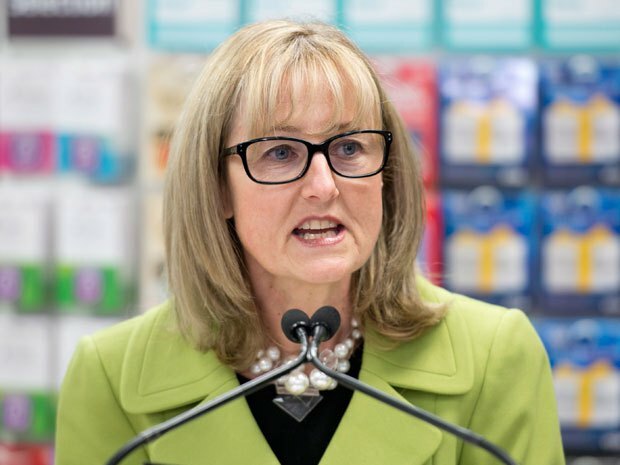 In a press release on February 6, 2015 Lucie Tedesco Commissioner Financial Consumer Agency of Canada stated that just because interest rates have gone down, referring to the recent Bank of Canada decision to lower the overnight rate, does not mean that Canadians “should take on more debt.” In fact the low interest rates good reason to lower debt. To many mortgagers (owing money borrowed on real estate) or those with loans whose payments are calculated based on the Prime rate, which in turn is calculated on the Bank of Canada’s overnight rate, low interest rates can be a double edged sword. Especially if you can’t control your spending; however if you are able to curve your appetite for borrowing, then for you low interest rates good reason to lower debt as you can pay more towards your principal and less towards interest payments. Commissioner Tedesco went on to say that “Canadians should look at this low interest-rate environment as an opportunity to pay debt down, rather than to accumulate more, even for a larger house, a newer car or a winter vacation.” We should be realistic and be ready for when interest rates will increase. 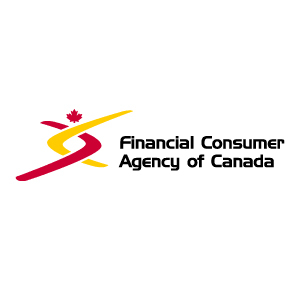 To read the full press release from Lucie Tedesco Commissioner Financial Consumer Agency of Canada click here. Trusterra Mortgage is here to help. 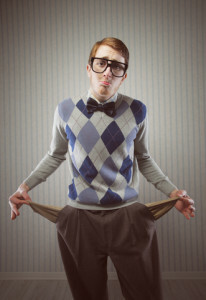 If you currently have a mortgage and are considering to consolidate your debt, or want to get the lower interest rates that are available currently, contact us to see what options are available for you and we’ll assess your current financial situation to see whether it is worth it for you to break your mortgage to refinance it or not. The Bank of Canada rate cut could be just around the corner. Analysts are predicting that due to the not-so good Canadian economy outlook, there is the possibility the Bank of Canada rate cut could be more real than fiction at its next interest rate announcement on March 4, 2015. It was the surprise of the year, and we’ve barely started the new year, when the Governor of the Bank of Canada Stephen Poloz announced last week on Wednesday January 21 that they were lowering the key lending interest rate. Not to our surprise, this week Chartered Banks and other institutional lenders begin dropping their prime lending rate in response to the Bank of Canada’s rate cut. The Prime Rate is now at 2.85%. 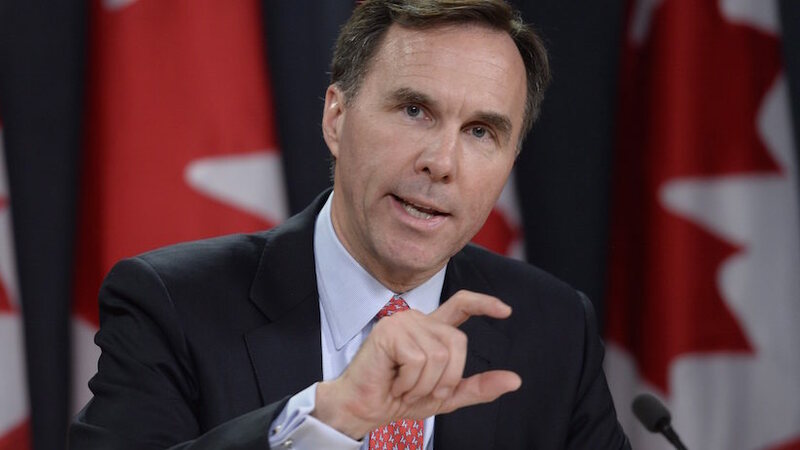 There are several indicators confirming the poor performance of the Canadian economy, such as the Statistics Canada labor market revisions, big 6 banks not lowering their prime rate equal to the Bank of Canada’s rate cut by 25 basis points and only lowering theirs by 15 basis points and another worry is the drop in oil prices which the Bank of Canada suggests is their main concern that could potentially get worse and impact not only the Alberta economy which is largely based on the oil sand productions, but also to resonate nation wide. It’s a wait and see game at this point. After all, in the past 5 years there were many naysayers and predictions with what will happen with the prime lending rate, but at the end it never changed until 5 years later, and to our surprise, it went down instead of up. 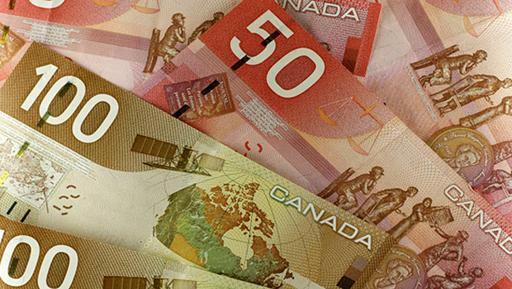 What are your thoughts about the recent Bank of Canada rate cut, and future ones? How do you feel the Canadian economy is doing right now and where will we be next year this time? The Bank Account Selector Tool is really cool and a helpful tool on the Financial Consumer Agency of Canada’s web site. It has been created to help you the consumer to compare features and find the chequing or savings account that best suits your needs. 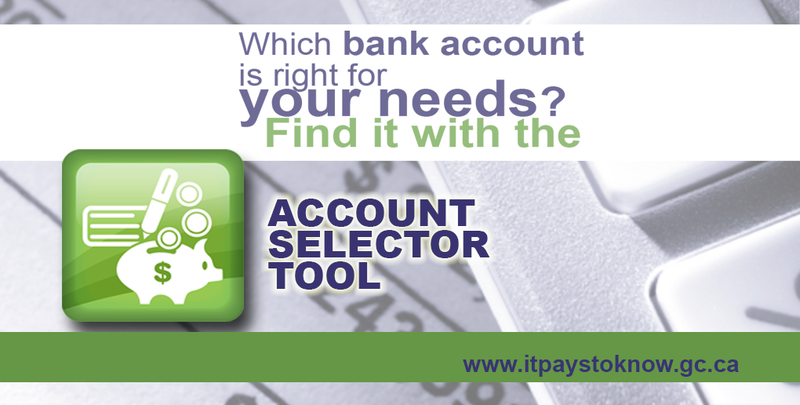 The account selector tool has many options to select from making your search refined and accurate to find the right bank account for you. On the left hand side of the site you can narrow your search by telling the tool what type of account you are considering; either a ‘chequing’ or ‘savings’ account. Then you tell it whether you want the service to be in CAD Canadian Dollar, or USD United States Dollar. Further refinements are also available, such as selecting type of service features you would like to have and the technology to use to access the account. November is Financial Literacy Month #FLM2014. In this post we wanted to raise awareness on the importance of parents setting aside money on a systematic and regular basis for their children’s future. To save money for your children is a noble thing to do. It show’s your detachment from money and your keen interest for the financial future wellbeing of your children. Naturally to save money for your children does not mean that you are supposed to pay their way for the rest of their lives. No. It means to save money for their future post-secondary educational plans. After all, it is still true that with education you empower people to do good things, to earn a livelihood and support oneself and loved ones. There are certainly diverse set of ways to save money for your children. Perhaps the simplest way would be to just open a savings bank account and every month deposit predetermined amounts into the account and let compound interest work its magic. The Government of Canada has created special plans just for children and their future. Registered Education Savings Plan (RESPs). Here is Canada Revenue Agency’s explanation. A registered education savings plan (RESP) is a contract between an individual (the subscriber) and a person or organization (the promoter). 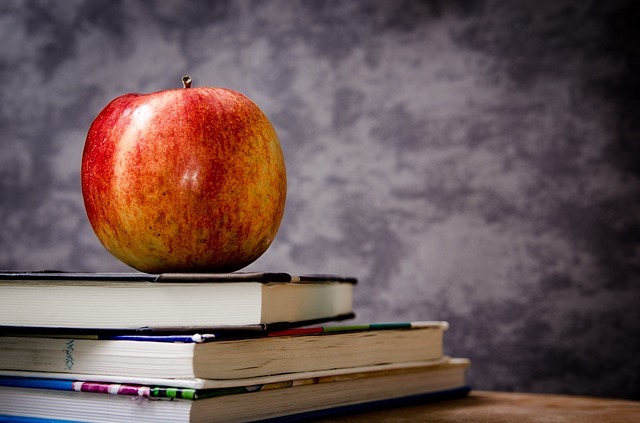 Under the contract, the subscriber names one or more beneficiaries (the future student(s)) and agrees to make contributions for them, and the promoter agrees to pay educational assistance payments (EAPs) to the beneficiaries. For more information, see How an RESP works. There are two different types of RESP available: family plans and specified plans. Many Canadian banking institutions also support and work with the Government of Canada in providing bank accounts and services towards its programs to help you the parent save money for your children. Visit their web sites to learn more about their services. You can easily learn how to protect yourself from financial fraud. The first thing to remember and accept is financial fraud can happen to anyone and you need to take the necessary steps and measures to protect yourself from financial fraud. In learning how to protect yourself from financial fraud you need to first recognize in what forms fraudulent activities come in; such as emails, phone messages, web sites, SMS, from a stranger, lottery, survey call, or even from a friend. In this video prepared by the Financial Consumer Agency of Canada, whose mission is to empower Canadian financial consumers and promoting responsible financial market conduct, we learn the types of fraud, tips to avoid scams and what fraud victims should do. If you feel that you have been a victim of fraud contact your local law enforcement agency immediately. 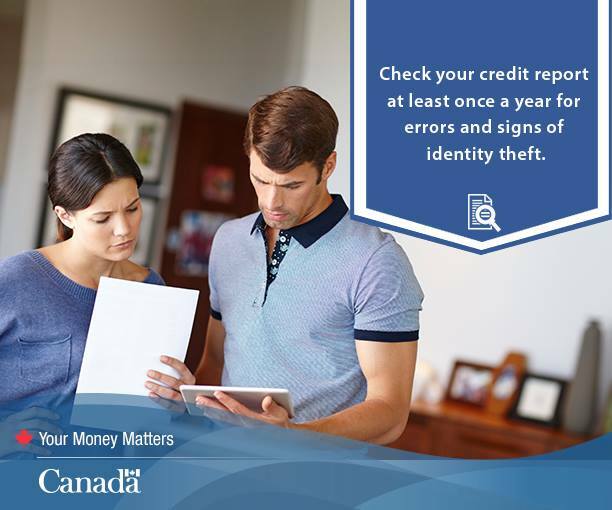 You can also visit the Financial Consumer Agency of Canada’s web site for more tools and resources to help you. Here is a home buying tip for those of you looking to buy your next home. When doing a home inspection make sure to be there during the actual inspection of the house by the home inspector. In a future article and in follow up with our home buying tip we will share more information about the importance of hiring a home inspector. Another home buying tip is don’t hire the first home inspector you see in the news paper advertisement, but rather, call around and ask friends and family whether they know of any trusted and experienced home inspectors they can refer you to. In this post we are also highlighting the Government of Ontario’s agency responsible for the protection of the consumer when it comes to these types of matters, the Consumer Protection Ontario. On their web site you will find helpful information and home buying tips. 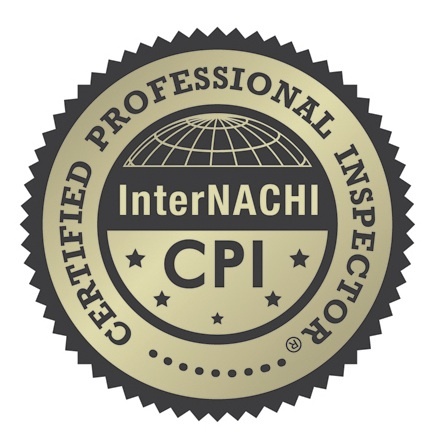 Walking through the home inspection with the Home Inspector can also be a learning experience for you as the inspection is a thorough one where all sections and technical operations of the home are looked at to make sure there are no dangerous or critical problems with the home. 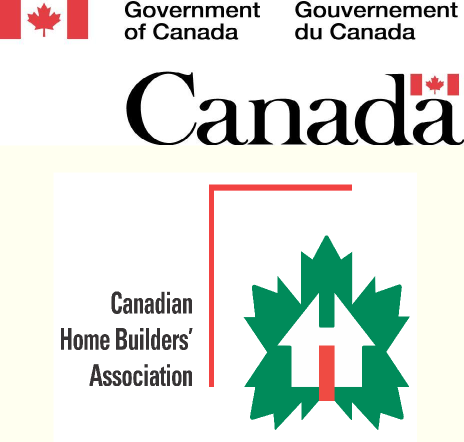 You can visit the web site of The International Association of Certified Home Inspectors where you can find helpful information about home inspectors, including home buying tips. 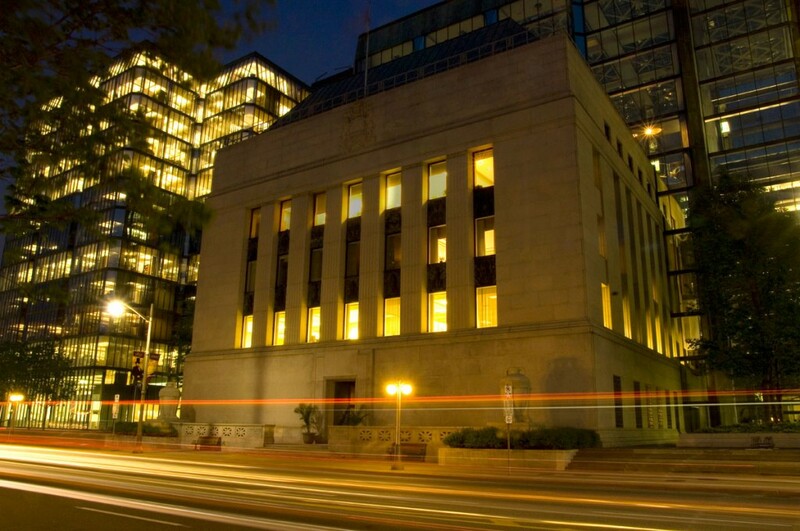 On Wednesday, 16 July 2014, the Bank of Canada will announce its decision on the target for the overnight rate. What do you think will happen tomorrow, will Bank of Canada Lower Interest Rates, or will they stay the same, or even go up? Since September 2010 the Bank of Canada has not changed it’s overnight lending rate, and we must wonder if the rate will be moving up at some point, if not now, when? As the Bank of Canada’s overnight lending rate remains untouched, the Canadian Chartered Banks and other lending institutions maintain their Prime lending rate at 3.00%. 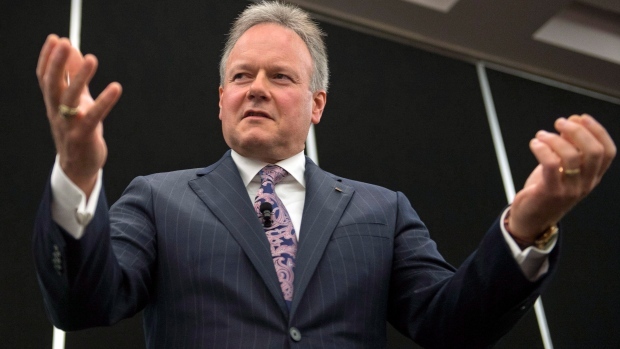 The Governor of the Bank of Canada Mr. Stephen Poloz and his team of advisers working at the Bank of Canada must look at many variables and factors affecting the Canadian economy and based on that decide if it is timely to raise or lower the interest rate. If we were to make any predictions, it would be towards the decision being one of maintaining the overnight rate the same and not touching it. However, in his previous interest rate announcement Mr. Poloz did give hints that they are not ruling out a rate decrease either. It will be interesting to see what happens tomorrow. What do you think will happen, will Bank of Canada lower interest rates? Take our Facebook survey below, or go directly to our Trusterra Mortgage Facebook page and take the survey there.